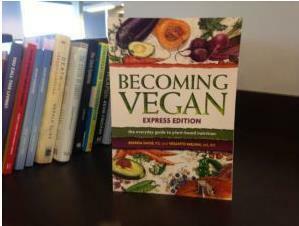 Becoming Vegan: Express Edition—The Everyday Guide to Plant-Based Nutrition. 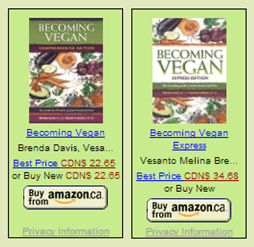 Davis, Brenda (author) and Vesanto Melina (author). Oct. 2013. 284p. illus. Book Publishing, paperback, $19.95 (9781570672958). 641.5. REVIEW. First published October 1, 2013 (Booklist). Brenda Davis, R.D. & Vesanto Melina, M.S., R.D. 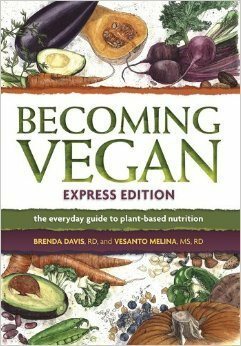 “In typical Davis and Melina fashion, Becoming Raw is thorough, thoughtful, practical, and balanced. It is, in fact, the gold standard on the topic. If the rarefied terrain of a raw vegan diet calls out to you, Davis and Melina are the best Sherpas in the business; don’t make the trek without them! 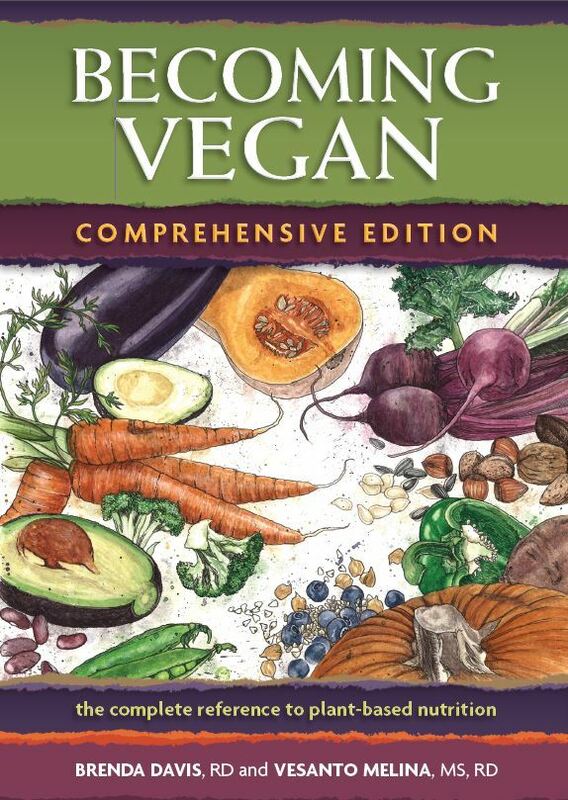 PHILADELPHIA (CBS)–More and more people are going vegan and a couple of long-time advocates have updated their how-to guide for ditching meat and dairy. 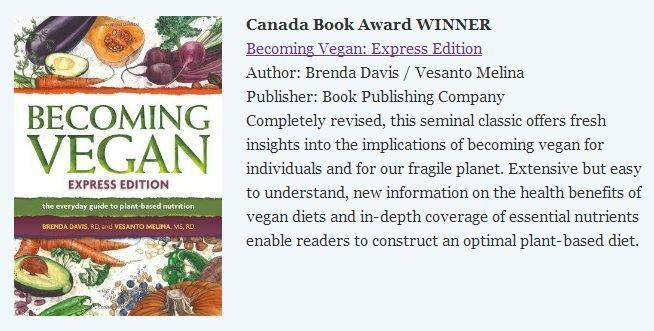 Dietitian Vesanto Melina, co-author of “Becoming Vegan, Express Edition,” made the switch 20 years ago when, after two decades as a vegetarian, she realized her use of dairy product still put farm animals to harm. She says you don’t have to make the change, if you’ll pardon the expression, cold turkey. The book can help you with steps.